I discovered Marco's shop when I typed "Richmond, VA" in the "Shop Local" feature on Etsy. Marco Mahler's shop, ArtMobile, intrigued me because fine art mobiles like his are an unusual item to find on Etsy, and he takes great photographs of his work. His mobiles are fun and stylish, and pretty classy-looking if I do say so myself. 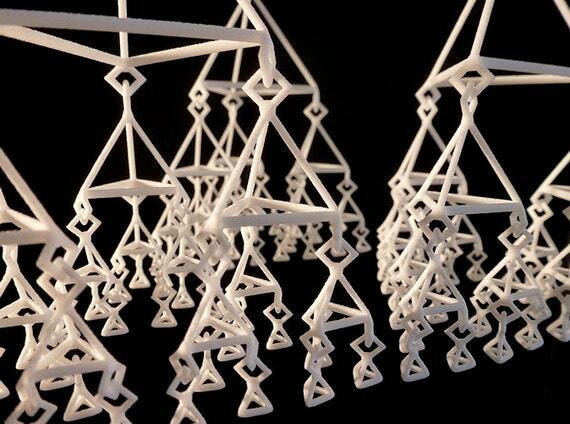 His 3d-printed mobiles are apparently the first of their kind! Also, I don't see that many guy sellers on Etsy, so his shop stood out to me for that reason, too. I hope you enjoy reading the interview with Marco. Turns out he's pretty business-savvy. I learned a lot from reading answers. Enjoy! 1. Please describe your Etsy shop. 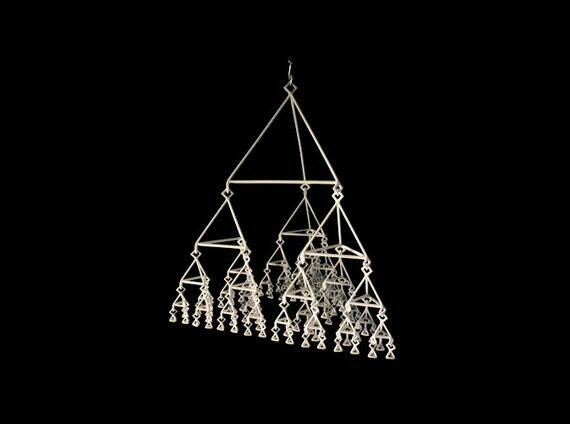 I sell ready-to-ship handmade and 3d-printed mobiles and take custom, consignment and wholesale orders. To have my items show up in search results. Etsy has been getting more and more cluttered with various listings that don't necessarily relate to certain search terms. Making your items available to a large number of people looking to buy handmade items. Etsy's platform is time efficient for listing and selling items. Most people don't buy something the first time they see it. With Etsy, they can add your items to their favorites and consider purchasing them later. Currently my most popular items on Etsy are a number of mobiles I make with acrylic glass shapes (also known as plexi glass). 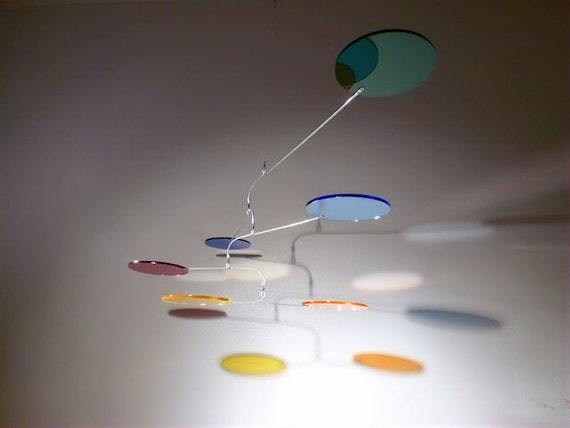 I'm not aware of anyone else making mobiles with acrylic glass shapes. I think I have a bit of niche within a niche with them. My main source of income comes from large custom mobiles. The sales I get from Etsy are are more like fillers for gaps in my work schedule. If I get too booked out with large custom mobiles, I temporarily close my Etsy shop. 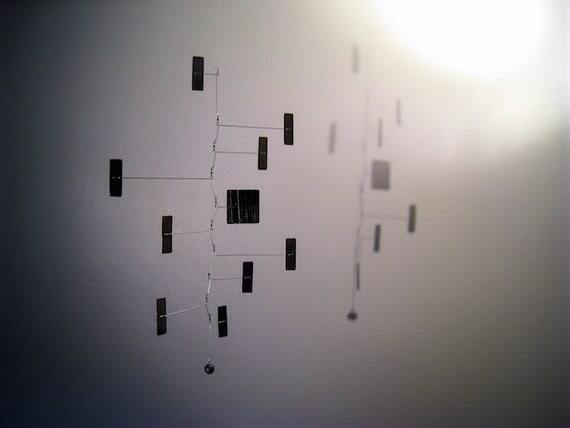 I've been thinking about making and adding larger, more expensive mobiles to my shop. However, I would be taking a risk by putting the time and cost of materials into making them without knowing if they will get sold. 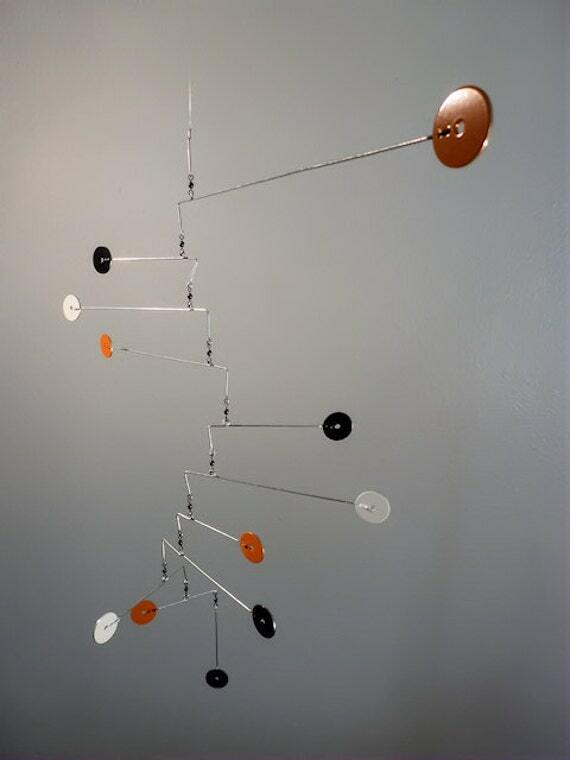 The nice thing about making custom mobiles is that I get them sold before I make them, or at the very least, I get a 50% down-payment before I put any time and materials into making them. I get most of my customer base from Google. I have a website with targeted keywords that I maintain regularly and add blog posts to. For many search terms related to mobiles, my website gets listed on the first page in Google's search results, sometimes even on top. From my website I link to my Etsy shop. I also maintain a Facebook page and a Twitter account. I list mobiles on eBay from time to time, but I get better results from my Etsy shop. I do sell mobiles through brick-and-mortar shops from time to time, both as wholesale and consignment. Last Christmas season I had a pop-up shop at Modern Artifacts in Carytown [in Richmond, VA]. The obvious advantage of any sales through Etsy is that I get 100% of the sales price. With wholesale or consignment, I only get 50% to 70%, depending on the agreement I have with a specific shop. I used to have a shop installed on my website which I kept having technical difficulties with from time to time. By having a shop on Etsy and simply linking to it from my website, I don't have to spend any time on technical issues. I have found and connected with other people on Etsy who make mobiles and have had ongoing conversations with them over the years. We refer inquiries to each other from time to time. Yes, I have received both custom orders and wholesale orders through my Etsy shop, as well as requests to consign my mobiles at brick-and-mortar stores. Take great photos of your items. Write descriptions that contain all the keywords for your items so buyers can find them. Don't just make your items available on Etsy. Try to branch out as much as possible and see what works. For example, last month I sold several mobiles on Etsy, but I also sold (via my website) and made two large custom mobiles, wrote a "How to make a mobile" article for MAKE magazine, and sold several 3d printed mobiles through a shop I have with a collaborator on Shapeways. Stay in touch with what made you excited to make things in the first place. Thanks Marco! 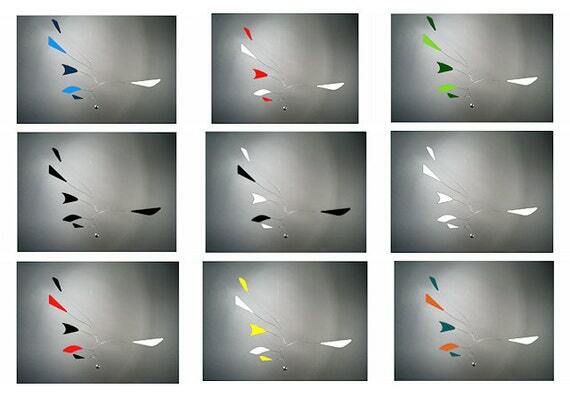 Readers, let us know what you think of his awesome mobiles! Hi! I would love to know more about these interview series. Can you contact me at hello@sombrasblancasdesign.com? I can't find your email anywhere. Ecdysis III in the shop!